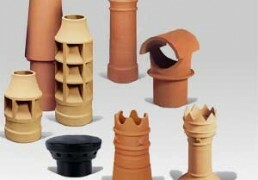 Casey’s stock a full range of Hanson Red Bank chimney products including flue liners, pots and terminals. Mad Cowl anti downdraught cowls are always in stock for use with stoves & wood burners, along with various sizes and styles of galvanised wire balloons to prevent birds nesting in the chimney. Casey's Roofing stock a wide selection of roof fixings and fixing tools, from Hip Irons and copper straps, to copper clout nails, tile clips and collated nail packs for gas powered nail guns. We stock a wide range of branded and unbranded fixings, and are sure you will find what you need for your job at Casey's Roofing. The Genuine Hedgehog Gutterbrush manufactured by Easy Innovations. 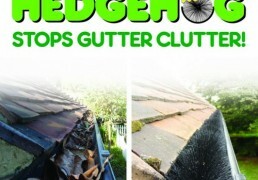 Caseys Roofing is a recognised stockist of the innovative Hedgehog Gutterbrush, and can supply from single 4m lengths to boxes of 20 totaling 80m. The most popular saw at Caseys Roofing, and for good reason! 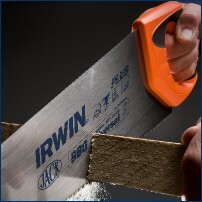 The Irwin Jack Saw is a hardpoint toolbox saw with a soft grip handle for comfort and control. Tooth geometry and set improves cutting by up to 40%, and it cuts on both the push and pull stroke. Safety is a priority in the design of this aluminium roof ladder which uses ridge hook, support bearers & wheels to gain access. Designed especially for pitched roofs of up to 55°, the ladder is easily positioned & totally secure in use. Suitable for roof slopes of between 15°. & 55°. The Paslode IM350+ provides increased reliability and extended service intervals. Features a new nose design for improved grip and a dual action rafter and belt hook. 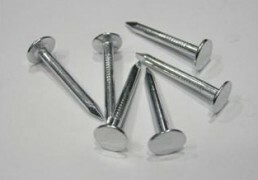 Suitable for first fix timber to timber applications. Supplied with a heavy duty carry case. Rear-loading angled magazine. Capacity 55 nails. Up to 1100 fastenings per fuel cell, 4000 per battery charge. Weight 3.4kg. 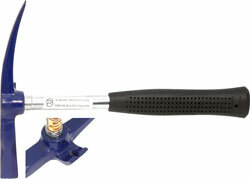 Caseys Roofing stock a wide range of high quality slaters hand tools from Faithfull. We keep a ready supply of slate rippers and cutters, slaters hammers and Guillotines. 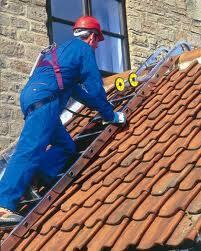 We appreciate that roofers are true craftspeople – and need the best tools to do their job!